You will find a list of all the sailing events throughout 2019 in the What's On section (select the Sailing Event 'type') or in the downloadable link below. In the Summer we run our popular Yacht Racing series for members most Thursday evenings and most Sunday Mornings. In the Winter we run popular Yacht racing series for the hardier types which are open to members of all local Yacht Clubs. 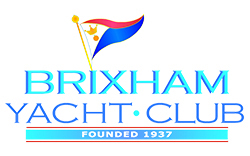 For those who prefer a more leisurely sailing experience the Club promotes a number of organised rallies to both local and cross-channel ports, often in conjunction with the Brixham Bay Hoppers. Please use the menu on the right of this page to access all the cruising information.